Silversea Cruises announced it has awarded Fincantieri with an order for another ultra-luxury cruise ship, with delivery scheduled for Q4 2021. The contract is valued at over €320 million, according to a statement. The ship will be a sister to the 2017-built Silver Muse and 2020-built Silver Moon. 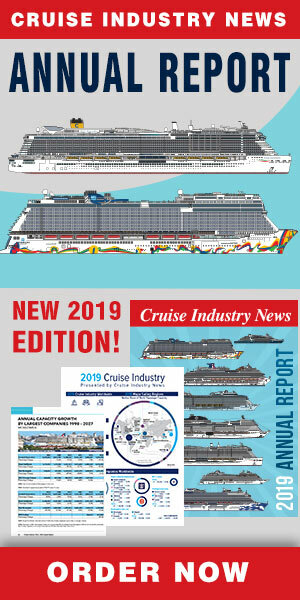 The ship will be 40,700 tons with capacity for up to 596 guests at double occupancy. “Following the extraordinary success of Silver Muse, we are delighted to announce Silver Dawn as the eleventh ship to join the Silversea fleet,” commented Manfredi Lefebvre d’Ovidio, Silversea’s Chairman. “Silver Dawn will bear the same hallmarks of quality that guests currently enjoy on our 6-star ships. We look forward to welcoming guests aboard in November 2021. It was my father’s dream to grow Silversea to at least a 12-ship fleet; today, we are one step closer to fulfilling his vision." Giuseppe Bono, CEO of Fincantieri, said: “It is a great satisfaction for our Group to see an ambitious project like Silver Muse establish itself on the market and get the highest appreciation from an exclusive and demanding customer like Silversea, that today confirms his trust in us. Thanks to this partnership, based on the quality of the product, our leadership position in the cruise sector is further strengthened, not only from a technological point of view, but also for the commercial ability to find the best agreement with the shipowner."